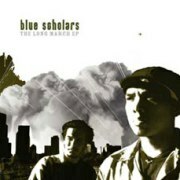 Sabzi and Geologic, both in their early twenties, are a Seattle hip-hop duo called Blue Scholars, and their wise and confident talents are displayed boldly on a shrewd EP, The Long March. The title of this generous nine-track release makes a lot of sense, as it perceptively describes a country beneath the shadow of war — war in Iraq ("Been three years and they're still up in Baghdad? "), war between races and classes, war in finding a peaceful place in a world of idiot bosses and bad luck — and extrapolates the battles of people having to "travel in a daze" like zombie-soldiers to jobs they can't stand. 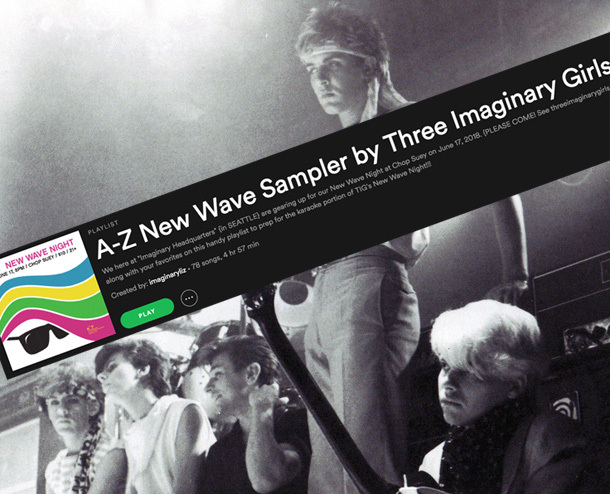 The stand-out sinew-funky tracks "Proletariat Blues" and "La Botella" are highlights, back to back in the middle of the sequence, but are hardly the only gems here. Sabzi and colleague RA Scion were known last year for an intoxicating joint affair entitled Common Market, and both of these discs made The Stranger's Charles Mudede's top local hip-hop albums of 2005. The Long March had its release party at Chop Suey with Masta Ace & Wordsworth, Vitamin D, Boom Bap Project, Abyssinian Creole, Cancer Rising, along with DJs Marc Sense, Jonce, and J-Tyme, and that club must have been joyous on that night, as the beats Sabzi lays down are pure and driving. Blue Scholars took it on the road after that with a Northwest mini-tour playing out with Blastmaster. On record with independent production that sounds as deep and punched-up as the best commercial rap, Geologic brings a confessional and directive tone to his art with strong roots in original revolutionaries like Chuck D and KRS-One . He adores teachers but doesn't ignore the necessity of resistance. He speaks of seeing many idealistic mentors fall down, and though with a torn spirit, shows them much love and strives to carry on their spirit of anti-authoritarian struggle on "Cornerstone," "Wounded Eyes" and "Talk Story": "I won't rest till my story is told — these Americans forgettin' that they live on a globe, the same planet as those left abandoned in droves." His critical intelligence floods the narratives of each song's statement, but that doesn't mean he can't unravel a keen sensual city fable like the closing jewel "Sagaba Remix."